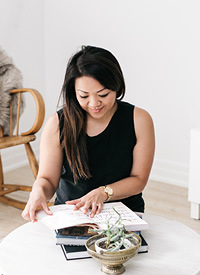 It's All In The Details — Love On Sunday Love On Sunday | Interior Styling in Toronto and the GTA. This was supposed to be an impromptu photoshoot of my favourite thrift store finds but it quickly turned into a set of the favourite details in my home. Some rooms I didn't dare photograph due to clutter and general nastyness so obviously, shooting the details was alot more convenient. I couldn't help but notice how drawn I am to intricate things. Whether it's a pattern, texture, carvings or even a photograph - it's something I truly love and appreciate. Oh and another thing I noticed: boy, do I love gold. Do you love detail? If not, what catches your eye and what are you drawn to in your own home?